Los Angeles (2 Dec 2013) – Los Angeles’ The Far West came together in 2010, thanks in part to a Craigslist ad featuring nothing but a link to a live clip of Waylon Jennings on YouTube. 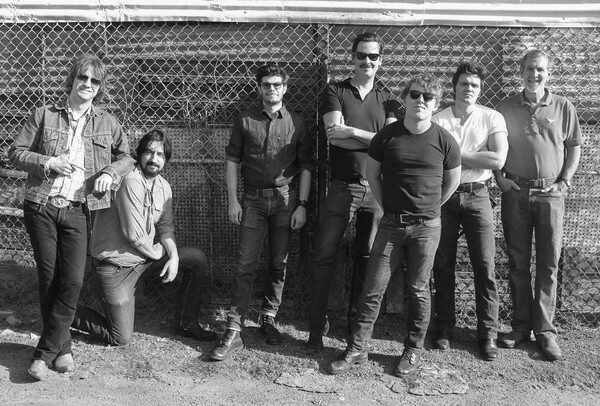 Each of the five members left other bands for a common goal: to make music inspired by artists such as Gram Parsons, Uncle Tupelo, Son Volt, and The Band. They released their self-titled debut album in 2010. Before long the band partnered with respected booking agent Mongrel Music, and have been consistently growing and selling out shows in the West ever since. Their second album, ANY DAY NOW, is out February 25, 2014, on Medina River Records and is steeped in alt-country with a few flourishes. But not everything has a roadhouse sound. “Leonard,” about the folk-artist who built the famed Salvation Mountain in the California desert, includes horns. “You can definitely hear the influence of songs like ‘Minnie the Moocher’ here,” says Briante, “but this arrangement is also influenced by Springsteen’s Seegar Sessions, and some of Levon Helm’s horn treatments.” The band called on Nic Chaffee, who added the warm and vibrant brass. “The song ‘Wichita’ is about the journey back to a certain time and place when I was a kid,” says Black. The band decided to give the title something of a double-meaning and, in keeping with the Midwestern theme, they pay respects to some of their favorite music from the region including Son Volt, Wilco and of course The Jayhawks on this song — a deliberate homage. Black backed many a band in his home state of Texas as well as groups from the across the country. Briante, from New York state, has played in dozens of bands since he was a teen, and found Black in LA via the sparse Waylon Jennings Craigslist ad. James Williams has lent his keys to several acts over the years and has performed live on KCRW’s Morning Becomes Eclectic with Nic Harcourt. Chicago native Aaron Bakker (guitars, vocals) found his true passion for music when he picked up his first guitar at fourteen. He was an integral part the Chicago outfit Dorian Taj, and dozens of others.Travis Popichak has been a hotly sought-after drummer in Los Angeles for years. This is producer Colin McLean’s second album with The Far West. He recorded their first album at an American Legion Post while the bar was open for business – and, in keeping with his interest in using unusual spaces, recorded ANY DAY NOW in a vintage hot rod repair shop. “The room you use to record really makes an imprint on the overall sound of a record, so using places that have lives of their own adds something special I think,” says McLean. The album’s title, ANY DAY NOW, was borrowed from an article on the band that asserted expectantly, “A follow up album is due any day now.” That was over a year ago, and ANY DAY NOW has finally come. Los Angeles (22 Nov 2013) — The newly reminted Medina River Records of San Antonio, Texas, will be branching out with headquarters in Los Angeles and has announced the signing of its first two artists, Rod Melancon and The Far West. Medina River Records (MRR) was founded in 2006 by Peter Bowman specifically to oversee the release of the critically acclaimed album, COLD BEER AND HOT TAMALES from The McKay Brothers. After a seven-year hiatus, the label will be revived with the intent of developing independent artists and restoring Los Angeles as a major source of great independent country and Americana music. Bowman has partnered with fellow Texan, Steve Circeo of Americana Music Times, and two Angelenos heavily involved in the Americana music scene, Ben Reddell and Matt Farber. Circeo, co-founder of web design company Maxcreative, is also known for his concert photography and videography. Bowman worked with Circeo developing music videos for bands in Texas and they collaborated to create a video record of San Antonio’s one and only SA Indie Fest in 2007. Reddell and Farber co-curate a weekly Americana music series in Los Angeles called The Grand Ole Echo, which was founded by Kim Grant and Liz Garo in 2005. Reddell and Farber were appointed to oversee the talent booking in 2013. In addition to these duties, Reddell also manages the well-respected Bedrock LA Studios, where music, culture, and business collide, and where MRR will house the label. Medina River Records will be presenting artists that are broadening their musical identities outside the limits of mainstream country music. They will release two albums in 2014, ANY DAY NOW from The Far West and Rod Melancon’s PARISH LINES. 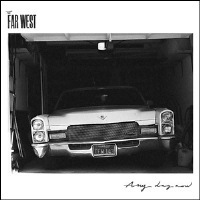 The Far West is a 5 piece roots-rock band that is based out of Los Angeles. Their sound has been described as an “authentically Americana sound” and “technically pure, slightly jaded, no-nonsense and honest with stellar storytelling”. Their second record, ANY DAY NOW, will be released on February 25, 2014, and was produced by Colin McLean. The band members are: Lee Briante, Robert Black, James Williams, Travis Popichak, and Aaron Bakker. Rod Melancon – a native of Southern Louisiana – is a singer-songwriter in the tradition of Johnny Cash, Merle Haggard and Bruce Springsteen. As scribe Terry Roland wrote on the No Depression site, “Today he may be marked Americana, but make no mistake: he is country to the bone.” PARISH LINES will be released on March 4, 2014, and was produced by Brian Whelan (multi-instrumentalist and vocalist for Dwight Yoakam). Los Angeles has played a significant role in the history of country music, which is often ignored. But the city has never stopped producing first-rate, unsurpassed, country and Americana music. Medina River Records plans to unearth the myriad of gems and bring these independent talents to the forefront of the Americana music faction.